As a child growing up with my grandmother at our home, I played with her huge Krobo beads collection. The colors and shapes of her beads fascinated me and tickled my interest enough to make me want to learn more about them from that very young age. 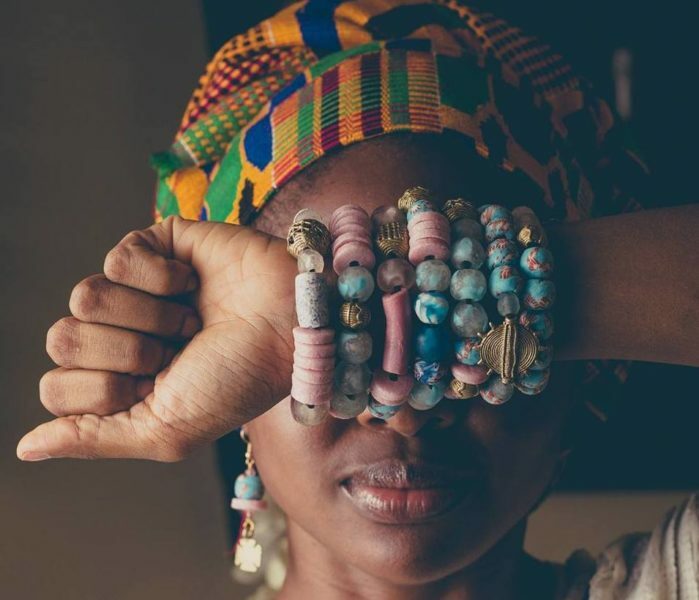 Today, staying true to my name, heritage and childhood fascination, I run Kor.Le.Kour Accessories, a Ghana-based brand that aims to bridge the gap between locally produced Krobo beads and high fashion. Korlekour is the name of the second female child among the Krobo tribe of Ghana. Krobos are well known for their fascinating and colorful beads made from glass and clay. A Krobo child knows her beads from a young age because she is adorned with beads in every celebration or festivity. I certainly did. I was the destructive child – the one who would deconstruct everything from clothes to furniture. I would always try to give them a new look, no doubt a sign of my creativity. Not surprisingly, I eventually focused on visual arts at the Aburi Girls High School. Fast forward to 2008 – I had completed my first degree at the Kwame Nkrumah University of Science and Technology with a Bachelor of Art in Metal Production and had to wait four months for my national service placement. Quickly bored after a week of being at home, I began experimenting with my metal production knowledge. I started with tiny silver and beads earrings and eventually advanced to using my mother’s old jewelry and beads collection. 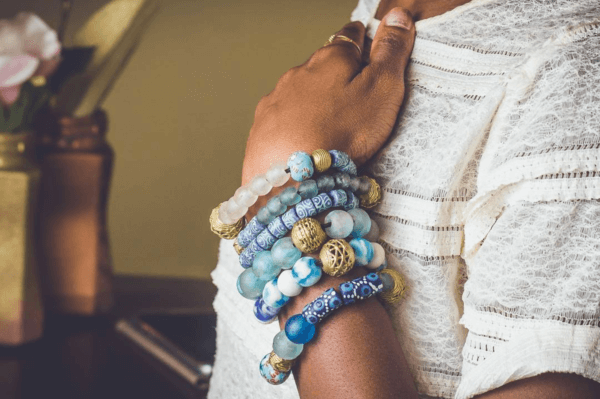 After a few weeks of disturbing her, she suggested going shopping at the bead market in Koforidua, the capital city of Ghana’s Eastern region. I had saved some money during my final year in university, thus my initial capital for Kor.Le.Kour was 40 Ghana cedis (approximately US $10). With time, I developed a passion for making beaded accessories as a hobby. I would go to my studio and start creating any design that came to mind, especially when I was tired from work or having a bad day. My knowledge in color coordination and product design gave me an advantage in my creative process and I was able to create unique pieces which received several compliments. My confidence grew as I created more and more pieces, even though the pieces were mainly based on requests from friends and family. In 2012 during my sixth year of working at a multinational company in Accra, a close friend encouraged me to take up a beading class to sharpen my skills. I took up her suggestion and did so during my leave. Over the next three years I created my personal beaded accessories as an off and on side business with no strategy, branding or direction. The beauty of the universe is that when you passion comes calling your inner being is never satisfied. I wanted to do more with my “hobby” and so in September 2015, I decided to go all out and follow my passion: I created my first collection. Kor.Le.Kour Accessories was born on December 4, 2015 due to my undying passion and dream to be creativity; to be a force in Ghana’s creative arts industry. On that day, I set up my first exhibition at the Accra Goods Market with a well thought through collection. Coupled with social media marketing, I slowly built up the Kor.Le.Kour brand, all the while maintaining my day job. I have participated in four other exhibitions since then and plan on doing more this year. Besides creating fashionable beads, we place an emphasis on social responsibility and impact. At Kor.Le.Kor, we source 80% of our beads directly from the women who bring their products to the bead market, just like my grandmother did. 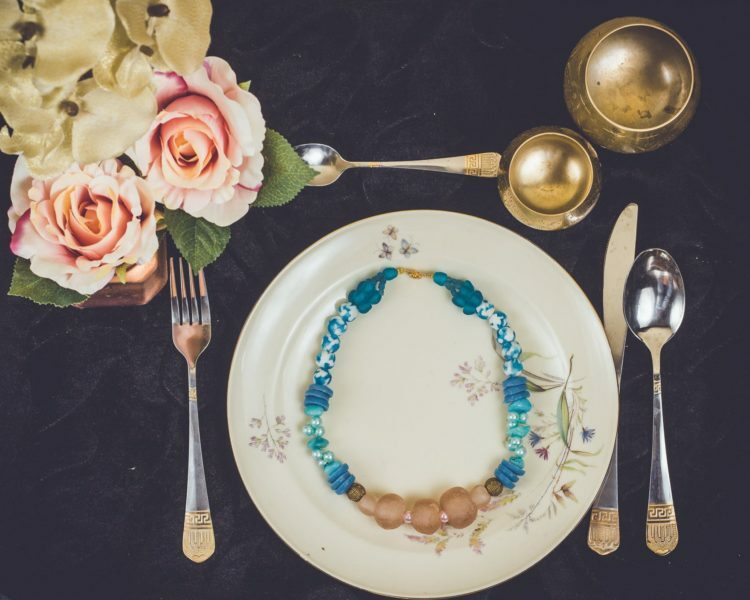 Our beads are interlaced with other materials to capture the essence of today’s woman and our designs aim to be fun, funky, bohemian and quirky with the core value of being African. In the future, Kor.Le.Kour plans to form a cooperative which would enable the women at the grassroots to produce and market to a wider audience. This will help ensure that the cycle of wealth is maintained and distributed locally. We also believe in sustainability and protecting the environment, as such we ensure our packaging is made from eco-friendly or recycled materials. Over the past year and a half, I have created four collections, all centered on catering to the woman who wants to look afrocentric with a touch of class and uniqueness. Our current collection Wanderlust is a reflection of my current adventure in my career path, a desire to explore all elements of my self by wading into new territory and gaining a broader perspective on life. The collection has a fusion of pearls and tassels all interlaced with our local beads, thereby portraying the Krobo beads in a new light. Our social media photo campaign and concept was derived the words “hot” and “eat”. We wanted to create the impression of our jewelry being so “hot” you could eat it, hence the dinning concept I came up with. While Kor.le.Kour’s products have received a lot of compliments on our aesthetic, sales are slow. This may be a bitter pill to swallow, but that is the reality of entrepreneurship. Having an amazing campaign doesn’t necessarily mean the consumers like the product. We are learning from that and working on a new design concept. I believe everyone is unique thus our bespoke collections are reproduced a maximum of three times with many never reproduced at all. To further expand our retail, wholesale and bespoke production lines, I have partnered with a business development company to develop a brand enhancement strategy which will go live in July 2017. 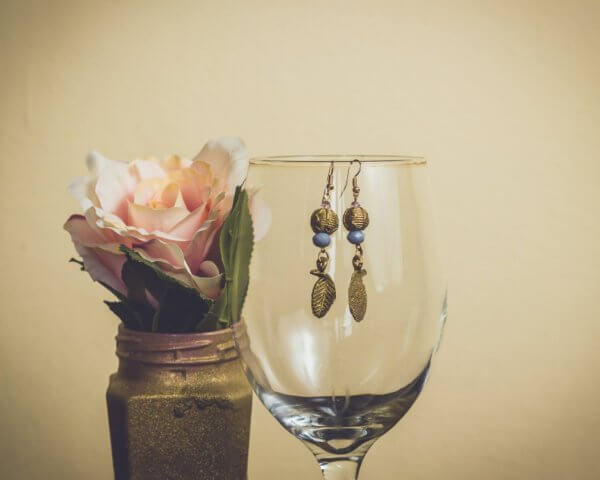 While considering bead making as a serious venture, I read an article about pursuing your passion first as a hobby, then as a side gig and then as a full time business. At the time, I worked in a multinational company with a good salary and great benefits. To ensure the growth of my new business I needed time and new experiences. My exit strategy from the corporate world was to downgrade my salary – I saved more and changed jobs twice within a year. These jobs paid me half my old salary, but gave me the luxury of time while exposing me to new opportunities and people. It is a risk I have taken but also nothing is cast in stone; I have to remain open to new opportunities and challenges in life. We live on a continent with an abundance of raw materials. Kor.le.Kour exists to create beautiful works of art with these materials. My long-term vision is for Kor.Le.Kour to be a top ten African brand for West African fashion and home accessories – to be the style choice of today’s woman. 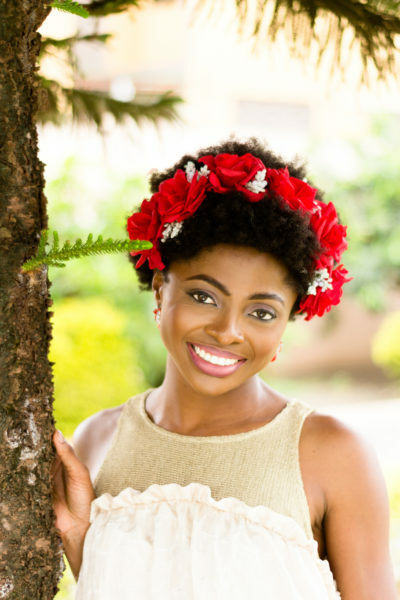 Priscilla Korlekour Agyeman is the founder and creative brain behind Kor.le.Kour Accessories. Born to a family of five, she has experience in human resources, marketing and social media. She has a knack for deconstructing and reconstructing things into creative pieces.